Keep scrolling down to the end! You don’t want to miss any. Who doesn’t love a gift? 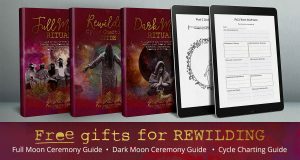 Consider this the wrapping of your FREE gifts for personal rewilding! How would you like to better understand your own potential? To unlock the key to your own wise, ancient, inner wisdom? 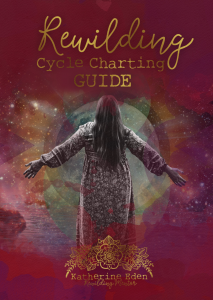 Cycle charting is something women have always done (in various ways) to not only know when they are due for their period, but because our cycles hold so many incredible messages and gifts that we are able to harness when we understand them. Are you looking to conceive, or actively wanting not to conceive? Are you using hormonal contraception, or breastfeeding and want to better understand your cycle ebbs and flows without having your period? Do you have irregular cycles, or conditions relating to your cycle that could benefit from diving deeper in to understanding your physical and emotional body? Are you looking to intimately reclaim your menstrual cycles and shed years of stigma, misunderstanding and shame around a magical and natural phenomenon. This free charting pack is for EVERY woman! Menstrual wisdom is your birth rite! Just enter your details above and wait for the charting guide to land right into your inbox! Simply Print out your Mandala Moon Dial and Pattern Tracking Guide and you’re on your way. Handy tip: Print out 12 copies of your Mandala Moon Dial, and 4 copies of the Pattern Tracking Guide. Arrange your trackers into a folder or binder so that your pattern tracking guide appears after every 3 cycles. Title each Moon Dial with each month, and you are set for tracking for the entire year!! Keep it by your bed, or in a place you will be able to access it most easily. Find a time; ideally at the same time each day, to focus on you and how you feel. Ground yourself, and dive deep into your body, womb and your charting. At the end of the day, or first thing in the morning are often perfect times of the day to check in with yourself and ask where you are at. Look at the moon: We, as cyclic beings are connected with other cycles and rhythms. Women often cycle with the moon. Women used to bleed together on the dark moon, which they say was disrupted by the introduction of artificial light. However we also know that women bleed at all times of the moon phase, with each presenting different messages and gifts. This can also be very helpful if you don’t bleed because you may find that your energy or other patterns cycle with the moon. You may also like to start your charting based on the moon phases if you don’t have an official ‘day one’ because you do not bleed (day 1 is the first day of menstruation – when you bleed. You cycle until the day you bleed again the next time which is again day 1). There are many apps to find out exactly where the moon is for each day, just note it in your charting. Check in: The point of charting is to understand more deeply your own unique rhythm and cycle. Remember, a cycle is repeated, so this is not a one-off activity. This is something that will evolve over a lifetime. The longer you track, the more knowledge and power and potent insight you will gain! Tracking for 3 months will not give you the same insight as tracking for 3 years. Living in flow is a state of being, it’s not a one-off self-care exercise. Regular cycle tracking is part of that. Check in every three months and note any patterns on your pattern tracking guide. Tracking will not only allow you to see what your unique flow looks like, but also any changes that emerge from anything new you have implemented into your life. If you would like any further guidance, or rewilding wisdom please don’t hesitate to get in touch. Welcome! Please enjoy this free cycle tracking pack. 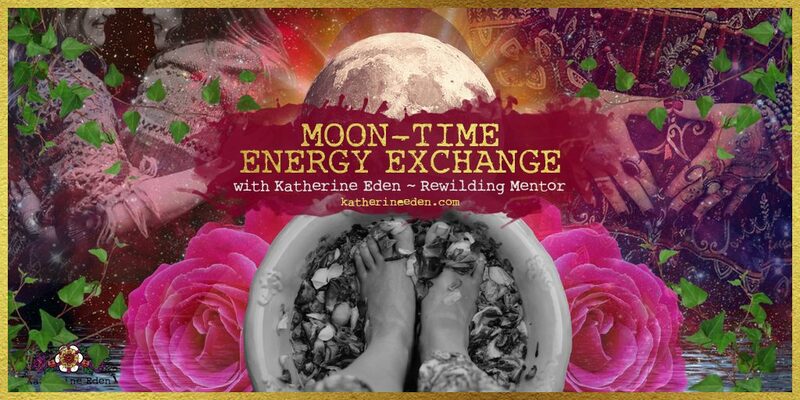 Join the Rewilding Sisterhood + Moon Time Energy Exchange Movement! 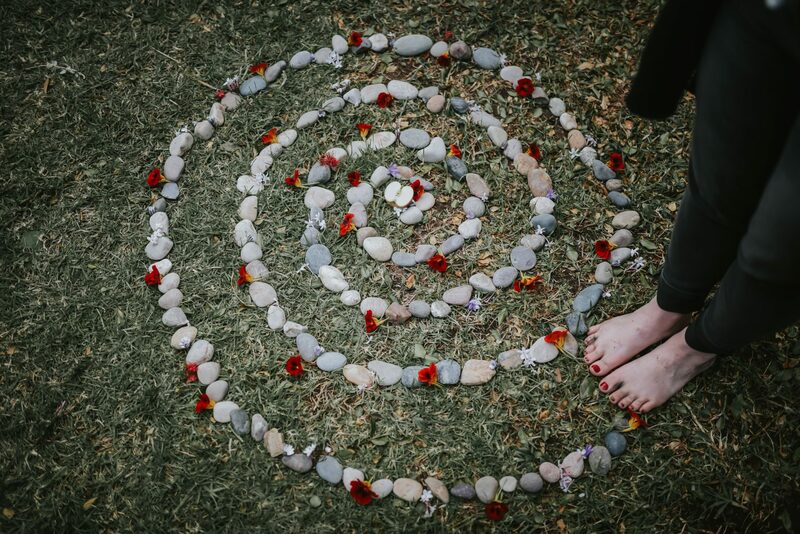 The Moon-Time Energy Exchange Movement is a modern red tent movement that brings women together to REmember and reclaim the power of menstruation. It encourages an exchange of energy between sisters once a month to support and honour the needs of the yin menstrual phase, and acts as a generational handover for this ancient knowledge that is our birthrite. The menstrual phase requires rest and nourishment. Gentle self care is a priority. This phase was once honoured and revered for the gifts that it brought, not just for individual women, but for her whole family and community. We cannot maintain the high energy hustle all month long. And we cannot pour from an empty cup. It is vital we refill in order to continue with all that this busy modern world asks of us. For the sake of our daughters and granddaughters, we must unite and rise to reclaim this time. This movement invites us to be part of the change we wish to see in the world. There is no required commitment to participate in any way outside of what you wish to do. By signing up you will receive a range of gifts and nurturing emails, as well as a facebook community link and a rad playlist to get your groove on to. of COURSE you want to come and be part of this!